"'I was probably tall as a child, but I just stopped growing.' - Kevin Hart"
Everyone has different memories and experiences in high school. From Central Intelligence to Jumanji: Welcome to the Jungle to his latest release, Night School, Kevin Hart seems to have a fascination with his academic past. As a writer on his latest school age adventure, the pint-sized superstar attempts to show the best and worst high school has to offer. Hart plays Teddy Walker, a high-school drop out who has managed to find success as a BBQ salesman. He lives beyond his means with the Porsche, a top-drawer flat and a beautiful and accomplished girlfriend, Lisa (Megalyn Echikunwoke). On the night Teddy decides to propose, a mishap at his workplace causes his financial house of cards to come tumbling down. His friend Marvin (Ben Schwartz) suggests that he come to work for him as a financial adviser, but the only catch would be for Teddy to get his GED (High school diploma equivalent). As he reenters the high school that he walked away from years before, the fast-talking and charismatic salesman realises that this significant step in his life will not be easy. His arch nemesis in high school has become the principal and does not intend for Ted to achieve his diploma. 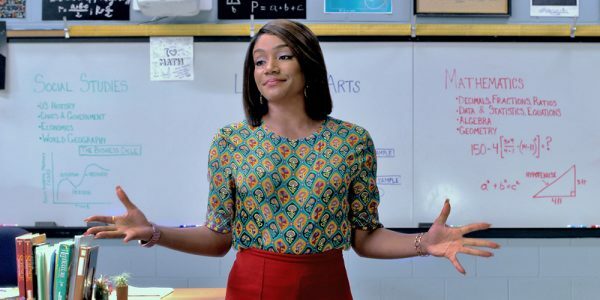 Despite this obstacle, he manages to get into a night school class and the biggest challenge for him to graduate is Carrie (Tiffany Haddish), the unorthodox teacher. What initially seems like a simple task becomes a life-changing effort that will expose every weakness in the man’s life. For fans of Kevin Hart, Night School offers everything that has become synonymous with the miniaturised comedian. Over-the-top slapstick antics, an ensemble cast that provides the needed complement to Hart’s comedic stylings, a bit of self-awareness and jokes at his expense and enough room for the current comedic superstar and Haddish to improvise to their heart’s content. These markers of Hart’s films also contain the typical elements of poor writing, extreme posturing and a predictable story arc that offers nothing new to audiences. 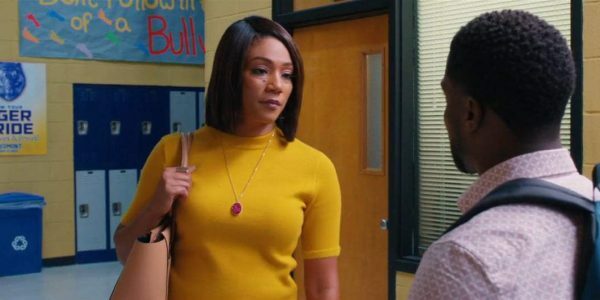 [caption id="attachment_104026" align="aligncenter" width="600"] TIFFANY HADDISH stars in "Night School," the new comedy from director Malcolm D. Lee ("Girls Trip") that follows a group of misfits who are forced to attend adult classes in the longshot chance they’ll pass the GED exam. [/caption] Hidden in amongst the vocal hi-jinx and the exceptional gaps in the plot, there is a message of overcoming life’s obstacles, forgiveness and personal redemption. Even with the inclusion of the Christian Chicken workplace and God getting a mention, it is more for laughs than anything. All of which comes down to the anticipated high-school graduation speech about self-belief and reaching for your dreams that lead to more yawns than inspiration. Proving that some can get through school or a film production with merely passing marks and for fans of Kevin Hart that might prove to be enough.